According to Einstein, which game doesn't God play? Who invented the concept of the Travel Agency in 1841 - a concept which still exists today? Safety belts (car seat belts) first appeared in cars back in 1949. Which car company brought about this life-saving technology? Although Mao Tse Tung (Mao Zedong) could do it, 90% of all Chinese citizens cannot - what? 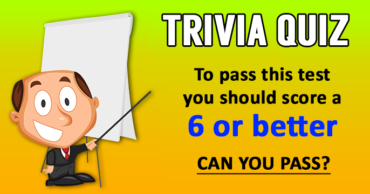 Which three colors, which are said to stimulate appetite the most, are used therefore in fast food restaurants? Why do people on their holidays often take Dramamine? China, the USA and India have the worlds' largest armies. Which country come next in the list? The most-used color on world flags is? What is the colloquial term for the UN peacekeeping forces? Proverbially, what is mightier than the sword? 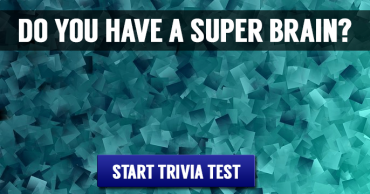 Only true trivia experts score an IQ higher than 140! 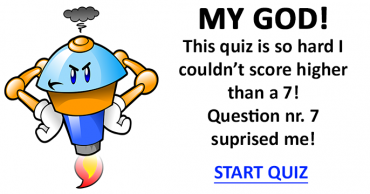 Test and find out what your quiz IQ is. 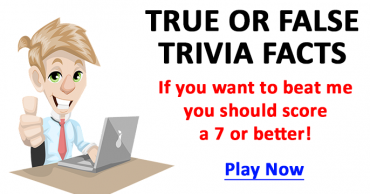 True or False General Knowledge Quiz- Can you score a 7 or better?